2. 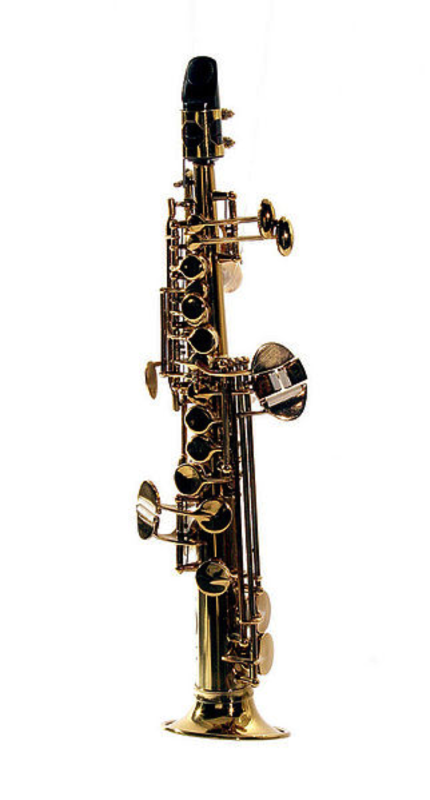 Despite the previous statement that saxes are usually made of brass, there are exceptions. Some models are made partially (or even entirely) of more precious metals such as bronze, copper, or sterling silver. 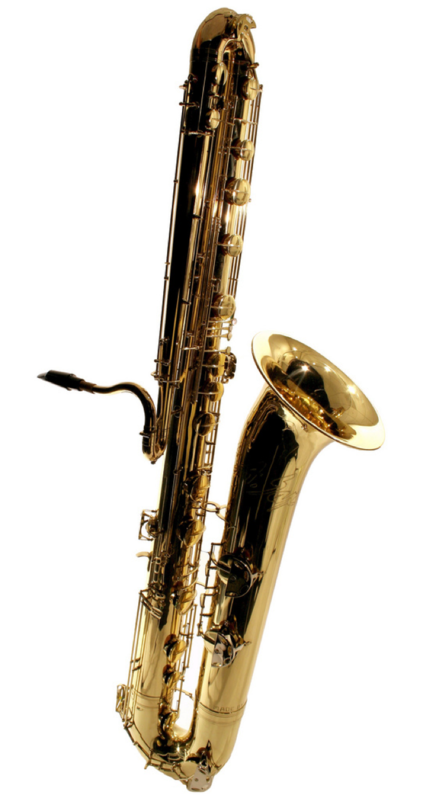 A few models of plastic saxophones have been produced over the years. 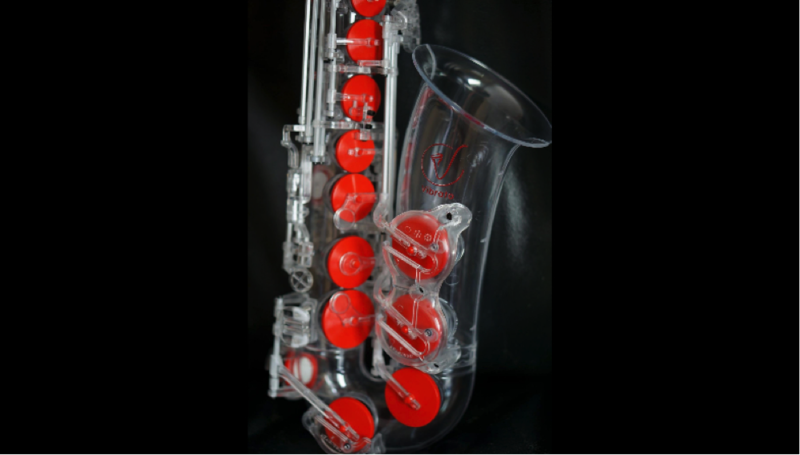 In the 1950s and 1960s, acrylic plastic alto saxes were popularly available under the brand name Grafton. The bodies of these instruments were made of then state-of-the-art injection-molded plastic, the keys being made of metal. Famous players known to occasionally perform on Grafton saxophones include Charlie Parker and Ornette Coleman. A modern-day polycarbonate instrument with rubber pads is currently being produced under the brand name Vibrato. 3. One of the most important components of a saxophone’s sound is the mouthpiece a player uses. On the subject of unusual materials, saxophone mouthpieces were originally made of wood. At first, they were made out of softer woods such as boxwood and later, primarily harder wood such as grenadilla and rosewood. A few boutique manufacturers such as Theo Wanne still make wooden mouthpieces today. Upon the invention of vulcanized rubber, hard rubber mouthpieces became popular due to their strength and versatility; rubber mouthpieces remain extremely popular to this day with both jazz and classical players. As an alternative, many professional players also like to use metal mouthpieces, which tend to allow for a powerful tone that projects mightily. Plastic mouthpieces are the most popular choice of mouthpiece for beginners as they are easy to make, durable, and relatively inexpensive. There are even a few manufacturers out there making ceramic mouthpieces! 4. The first notable instrument family created by Adolphe Sax (after his controversial bass clarinet redesign) were actually members of the brass instrument family, known as “saxhorns.” These instruments resembled tubas and baritones and were actually the most popular brass instruments used during the US civil war. Many were configured with the bell pointing out behind the player, in order to be better heard by the troops marching behind the band. 5. Adolphe Sax originally meant for his transposing family of saxophones to come in two categories: an “orchestral” set of saxes in F and C, and a “military” set in Eb and Bb. The saxes in F and C did not work as well acoustically as their counterparts and never gained much popularity. In the late 1920s to early 1930s, the Conn company tried to revive the public’s interest in an instrument pitched in F by producing the “Conn-O-Sax.” While this can be considered another invention of limited success, a few Conn-O-Sax models have survived and are highly prized among collectors. 7. Despite these resounding endorsements, Adolphe Sax continued to struggle throughout the duration of his career. Many bitter, jealous rivals would steal tools from his workshops, attack his good name, serve frivolous patent-related lawsuits and even make attempts on the inventor’s life. While he did manage to win all lawsuits, preserve his creative integrity, and survive assassination (including an elaborate bomb plot! ), Sax ended up dying very poor at the age of 80, subsisting on a small pension provided by the French government. 8. 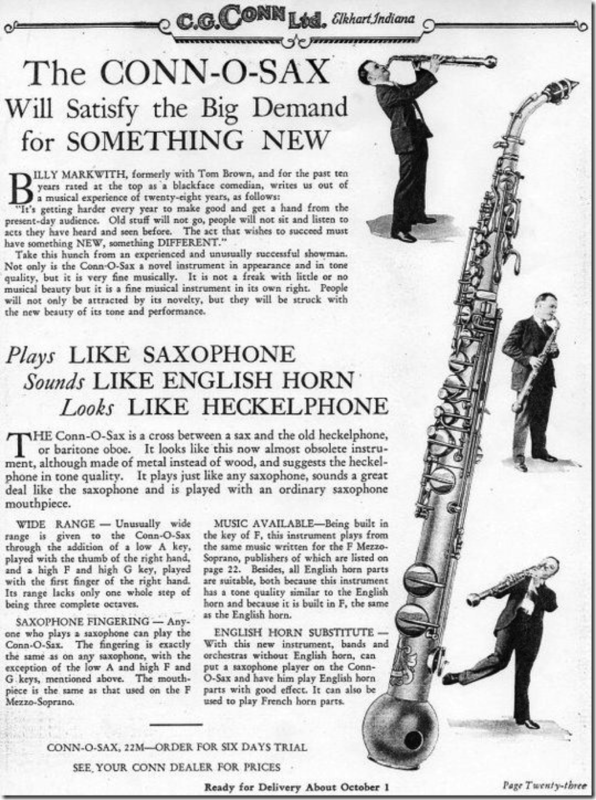 The largest “standard” sax produced commercially is the contrabass. This gargantuan sax sounds a full octave lower than the Eb baritone sax (the bass sax, by contrast, sounds one octave below the Bb tenor). The instrument stands tall at 6’ 4” and is surprisingly light, weighing only around 45 pounds! 9. By contrast: the tiniest sax produced is called a “soprillo.” This instrument is only 12“ long and sounds an octave above the Bb soprano sax! 10. 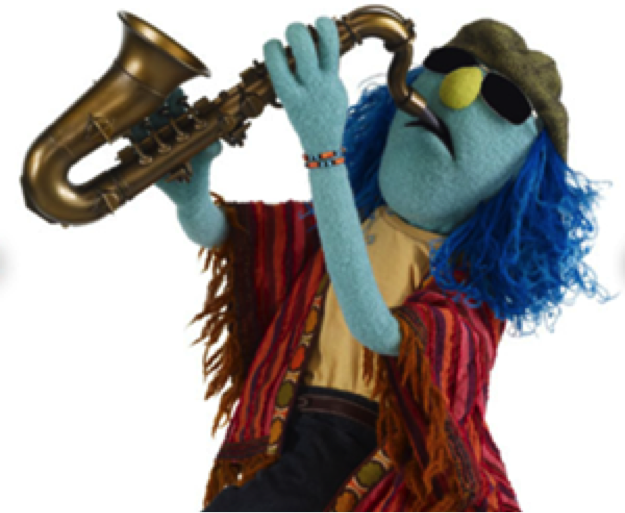 Last but certainly not least, we’d like to mention Zoot, the most famous sax-playing Muppet! While Zoot is rather obviously named after Zoot Sims, his appearance was admittedly modeled after Argentinian saxophonist Gato Barbieri. While Zoot does not tend to speak much on camera, his instrument’s voice was provided first by Frank Reedy on the TV show, and now David Garland in the Muppet Movies. Don’t forget to stop by Sheet Music Plus for your saxophone sheet music! Carolyn Walter holds a degree in clarinet performance from San Francisco State University and is an active music educator and multi-genre performer around the Bay Area.